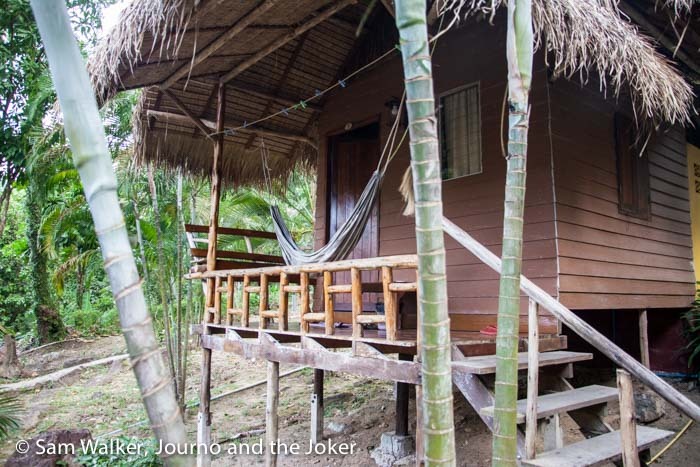 Koh Chang – just off the Coast of Thailand and close to the border of Cambodia turned out to be an ideal getaway in the lead-up to Christmas. We were planning to take a break in Sihanoukville but a close friend told us we would be disappointed with the beaches, given the amazing coastline we are used to in Australia. But, in need of a getaway and a desire to be close to the ocean we opted for Thailand. And as it turns out, we are very happy with the choice. We travelled from Siem Reap to Poi Pet on the border by private taxi, then on the Thai side of the border we got another taxi, which delivered us to our guesthouse door, including the barge across to the island. This wasn’t the cheapest option but it kept me off buses for another day. We stayed in a bungalow at Little Eden on the western side of the island. We settled into our bungalow and had a nice meal and a few drinks with the owner, Dave, and discussed what activities the Journo and I could get up to. Day one was a quiet day with a walk down to the beach, 500 metres away, then some window shopping. But mainly, it was a day of relaxing with a few beers for me and red wine for the Journo. The island is very picturesque with some very nice beaches and a couple of places to watch the sun go down at the end of the day. We hired a scooter to travel around on for a few days as the island is a reasonably-sized place and taxis (tuk tuks) here can be expensive. We hired the scooter for about 250 baht a day from our accommodation, which is about the going price. And we travelled right around the island. For the first time in eight months I went fishing. I spent half a night on a boat catching barracuda. But I missed out on the food supplied for dinner as a rather large lad seemed to finish all the food for six people before I had a chance to try any. Fortunately the deckies cooked up some barra so I grabbed some before old mate could move – and it was very nice. Never thought I would eat fish in Asia but the water here is very clear so I took up the challenge and I’m glad I did. 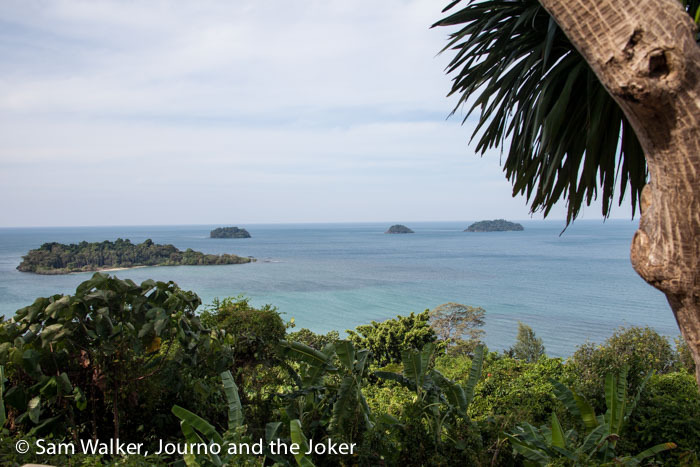 We visited Koh Chang during the high season and there didn’t seem to be many people around. I also noticed a lot of businesses for sale, including the place where we stayed. 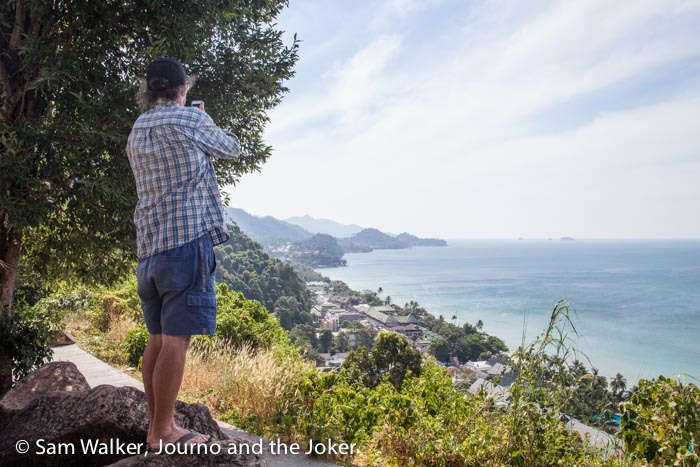 There’s plenty of things to do on Koh Chang like fishing, shooting, archery, snorkelling and diving, with lots of monkeys to steal your gear. There are also several places offering elephant rides but the Journo and I won’t do them after seeing posts on the internet about how they are tied to trees with a leg off the ground to break their spirit so they can be handled easier. This process can last for days. Mondulkiri, is a place in Cambodia where you can interact with elephants without riding them. If you want to to get up close to one try going there. There are other places in Thailand that offer interactions that are positive for the elephants as well. This trip was just a relax and enjoy the scenery holiday for us, which is exactly what we did. It was so good to get away from the dust of Siem Reap for a couple of days. We spent time on some beaches and a little time shopping and it was so nice to go into a market without everyone trying to drag you in and harass you about spending money. The road trip from Poi Pet (on the border) to Koh Chang is a very nice drive, through fruit-growing country and the scenic view of the mountains close by makes the taxi or bus trip an ideal way to see a part of the country that isn’t covered in rice. Although we discovered that Cambodian and Thai drivers have a lot in common – I think they’ve all been to the same driving school, called my one good eye is made of glass. I’m sure there are plenty of good drivers in both countries and I would love to meet one before my time in Cambodia is over, I’m just not holding my breath. We were told the walk-on ferry price to Koh Chang was 20 American per head, which is why we took the taxi to the door. So check out prices well in advance for the best deals, then enjoy a very relaxing time there. Thanks Loren! Hope you get there soon. So many amazing places in Thailand.